Added on June 29, 2015 by Angela Serino. Participants: Mark Vennegoor (Res Artis, Amsterdam), Michele Trimarchi, (Professor of Economic Analysis of Law and Cultural Economics, Rome); Marie Fol (Dutch Culture | TransArtists, Amsterdam), Gaetano Carboni (Pollinaria, Italy), Vytautas Michelkevicius (NIDA Art Colony, Vilnius), Emilio Fantin (Free Home University, Lecce), Amanda Abi Khalil (TAP Temporary Art Platform, Beirut); Bayan Al Barak Kanoo (Al Riwaq Art Space, Bahrain); Giuseppe Moscatello (Maraya Art Centre, Sharjah); Sara el Adl (Townhouse Gallery, Cairo); Farid Abdullayev (Yarat Contemporary Art Space, Baku). 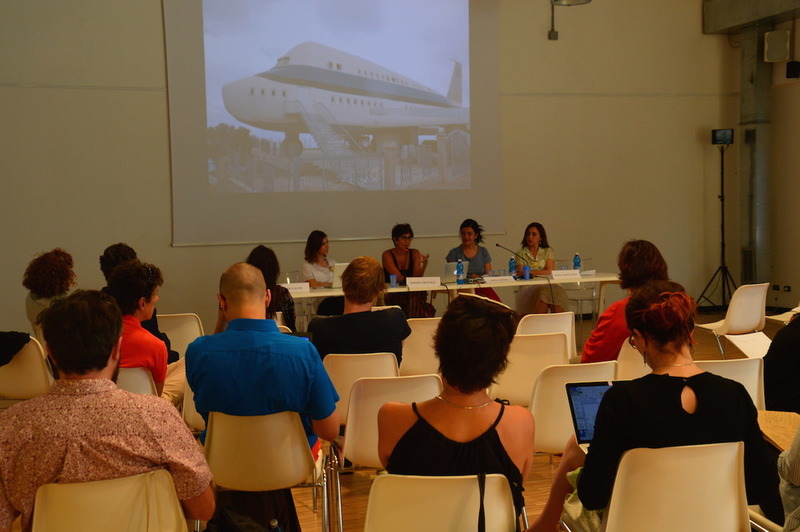 The Meeting was created by FARE as part of AIR – artinresidence’s project, the Italian network of artist residencies (www.artinresidence.it). 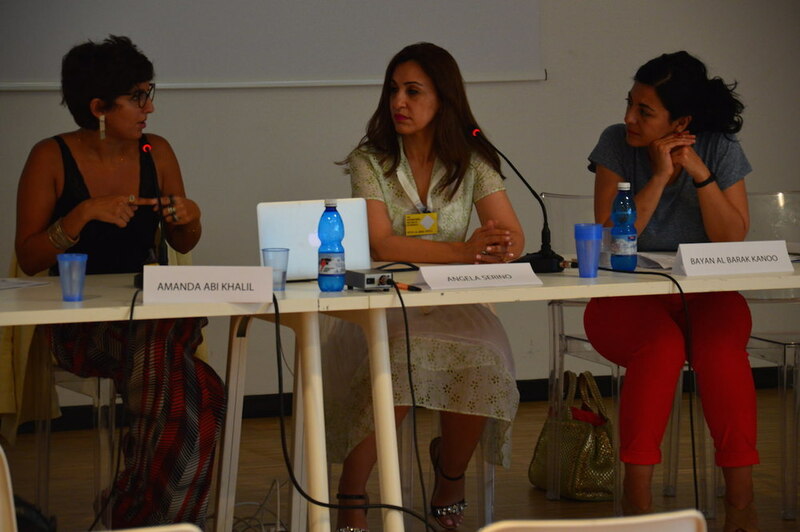 It was curated by Angela Serino, who also moderated the two day sessions. Several definitions and perspectives have been used in the last few years to describe the value of artists’ residencies and to identify heir specific function in the attempt to understand where they stand as new institutions in the art field. For some, residencies are "forums of affinities" that bring together like-minded people in specific places imbued with history; for others, residencies are spaces that provide artists with facilities to carry out ambitious and innovative works that would not be realized otherwise. For others still, residencies are spaces that favor intangible production and open research processes and collaboration, with results that are only visible over time. Considering this kaleidoscopic range of valuable possibilities, the International Meeting proposes yet another perspective. We would like to look at residencies as learning environments, places for collective and personal self-development that are complementary to the existing educational paths available for artists (i.e. Bachelor, Masters and PhD programs for the Arts), and to the educational programs offered by museums and art institutions. We believe that the interruption of one’s daily routines, the variation of the perception of time, the focused moments shared by artists and professionals with their peers in a specific place, and the encounter with a new culture function as catalyst for processes of self-transformation, knowledge acquisition and circulation. The result of such processes is the production of a knowledge that is ‘unframed’, informal and uncertified. More particularly, the residency becomes an occasion for learning (or unlearning) ways of making and thinking for the resident artist, as well as for those who have contact with the artist during his stay (i.e. local artists, collaborators and other professionals, specialized and general public that take part in the activities developed by the resident artist). We will talk about whether and how this occurs with directors and curators of residency programs coming from Italy, the Netherlands, Lithuania, Lebanon, Bahrain, Egypt, United Arab Emirates, and Azerbaijan. Guests are invited to present and discuss their ideas of education and the production of knowledge through specific projects and programs of their organization, highlighting the function that each specific project has in its regional context. The results of the International Meeting were published in the booklet "Residencies as Learning Environments". The booklet was conceived and edited by Angela Serino in collaboration with Marianna Maruyama, designed by suqrepubliq.it, and published by FARE.